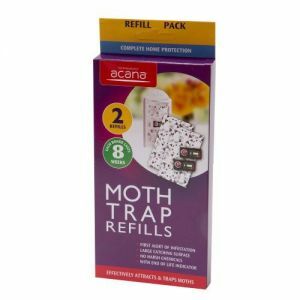 Add Acana Moth Killer & Freshener Sachets pack of 20 from Caraselle to your basket? Your wardrobe is the home of your most loved clothes. 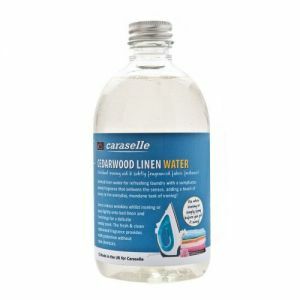 It's also the perfect home for destructive clothes moth larvae. 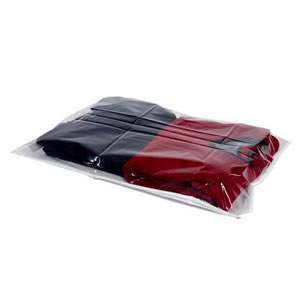 Shirts, suits, coats and dresses are our most valuable garments, made from high quality materials for special occasions. 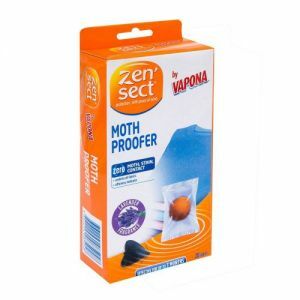 Unfortunately, moths have expensive tastes and thrive in natural fibres. When it's finally the right day to wear cashmere, you don't want to find their larvae got there first for a feast. 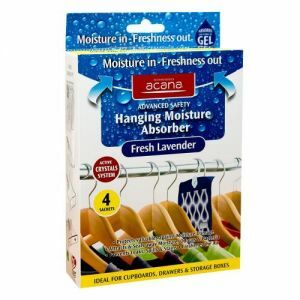 To keep your best clothes safe and ready to make an impression, you need Acana's Hanging Moth Killer & Fresheners. 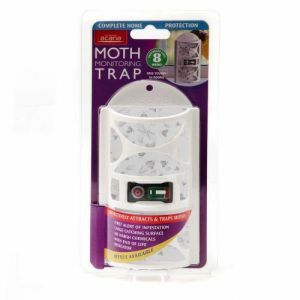 Simply hook one or two units to the rail in your wardrobe and you'll get six months of pest protection. 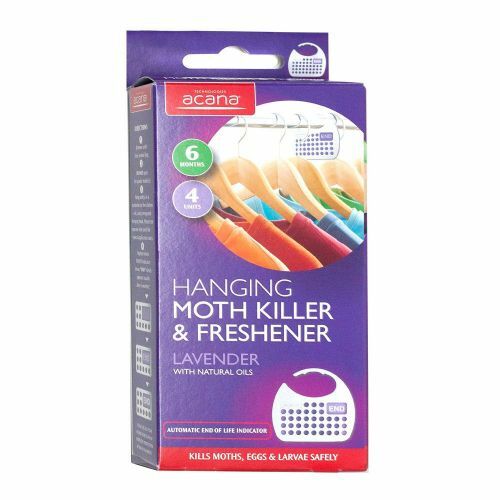 The hanging freshener gradually releases a potent solution that doesn't just deter moths; it kills them, along with their eggs and larvae, while infusing your garments with a subtle lavender aroma. 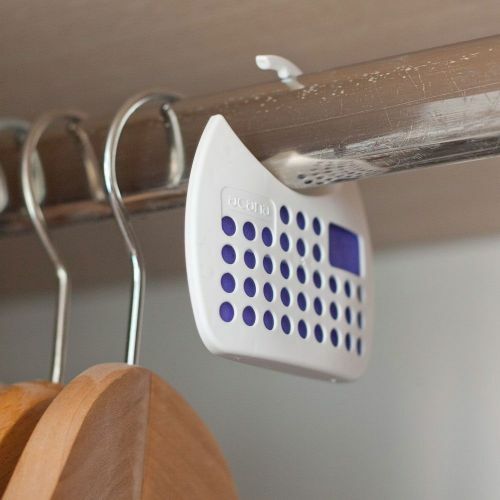 When the freshener is depleted, a visual indicator will let you know it's time for a fresh batch. 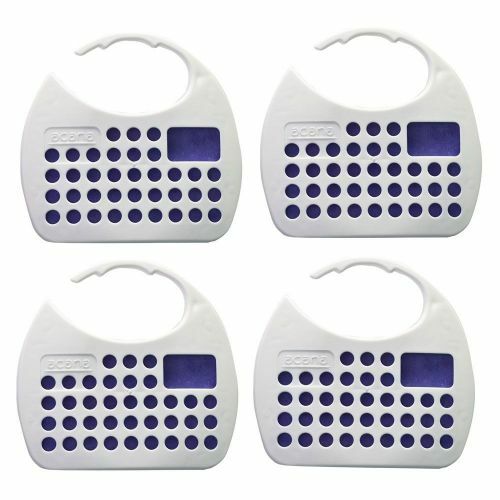 Each pack comes with four units, and we recommend using two in an average sized warbrobe. 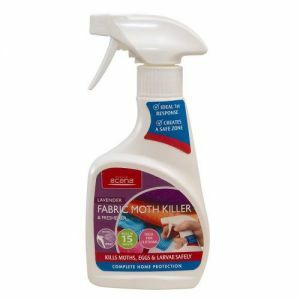 Britain's in a clothes moth epidemic. 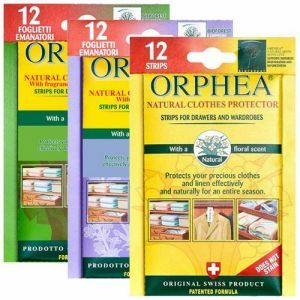 The more clothes you have and the better quality they are, the more you're at risk. Take action now; your insurance probably won't cover the damage. 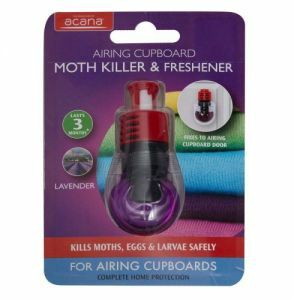 Combine with Acana's Moth Killing Sachets for ultimate protection for your all your clothes storage.